Natasha Ridley is a former principal dancer of La Diego Dance Theater and has been dancing professionally for fifteen years. She began her dance career at the age of ten, at the San Diego School of Creative and Performing Arts in San Diego California where she received much of her dance training. There, she worked closely with Cynthia Morales, who provided her with a great understanding of dance and focus on technique. In 2000 at age of seventeen she was given the opportunity to perform at the International Black Dance Conference in Dallas Texas as a junior performer, and again in 2001 as a professional dancer in San Diego, under The Sandra Foster King Dance Collection. From 2001 – 2003 Natasha was a principal dancer with Selah Ensemble under the artistic direction of Xavier Hicks, a former principal dancer of California Ballet. In 2004, she joined La Diego Dance Theater as an apprentice and was quickly promoted to the role of principal dancer. She also served as a board member for the organization under the title of dancer liaison and continued with the company until 2008. In addition to company work, Natasha has performed in various classical ballets for local studios and collaborative shows throughout San Diego. Natasha is now focusing on creating new choreographic work and facilitating community arts engagement events. She a co-founder of the Artists Building Community Project (ABC) with Maureen Abugan. A project devoted to the practice of using art as a means of community engagement and dialogue to better their communities, families, and selves in underserved communities. Apart from dance she is a Licensed Financial Assistant. She holds a BA in Psychology from San Diego State University and a MA in Leadership Studies from the University of San Diego, and is a San Diego RISE Urban Leadership alumna. Natasha's choreographic style is contemporary ballet, which is a combination of traditional modern dance techniques (Horton, Limon, Graham) and classical ballet. 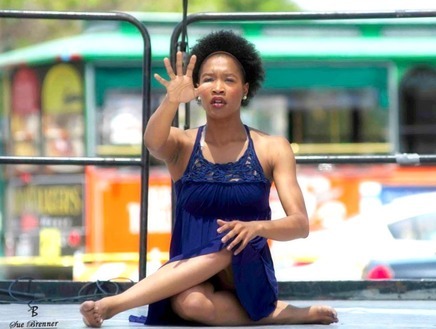 She has also been heavily influenced by the raw emotion of traditional African American storytelling through dance.